Given the debut this week of the revised JCW, it seemed an appropriate time to take a step back and talk about the JCW line and how MINI could create something truly exceptional for the future. Yes there are a few nice changes to the 2011 model, but the profound additions we had hoped for (a year and a half ago) haven’t truly come to fruition. So let’s talk about how to fix things. John. Cooper. Works. 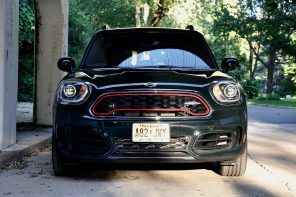 When I first learned about MINIs, these three words meant the direct lineage from the man who brought mid-engine cars to Formula 1 racing and tuned the BMC Mini to new heights. In 2008, it was announced that BMW was outright purchasing JCW in order to create a sub-brand within MINI akin to the M-division within BMW. Unfortunately, the output has been less than impressive. Because JCW is owned by BMW now there’s an interesting new problem: overlap. Why would a customer buy a tricked-out JCW car when they could spend a fraction more and get the ferocious RWD 135i? And with a shared platform coming for the next-gen cars, the so-called ‘0-series’ will be an attractive option for those who want the prestige of a roundel instead of wings and a JCW ‘surfboard’. So with that said, let’s talk about how to fix things. We’ve got two ideas on how JCW could become legendary. 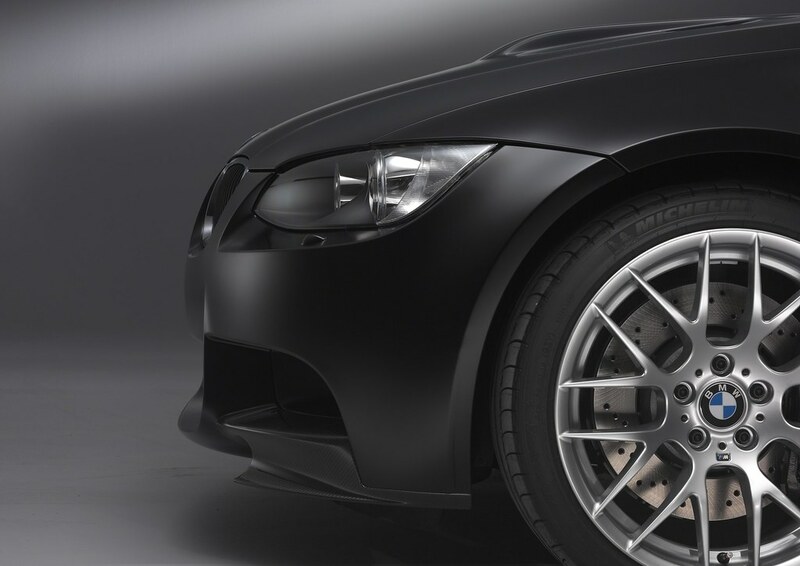 The M division prides itself on creating the best possible versions of BMW models utilizing the best technology available. They create automobiles that use the existing platforms but taken to the next level with styling and chassis changes. It’s clear that this is the direction that MINI decided to push towards with the JCW cars representing the top tier of the models (Cooper, Cooper S, JCW). The difference between //M and JCW is that JCW cut corners with the R56 cars. Big time. If the JCW GP represents the high water mark in MINI factory modifications, the JCW R56 doesn’t live up to its forebear. 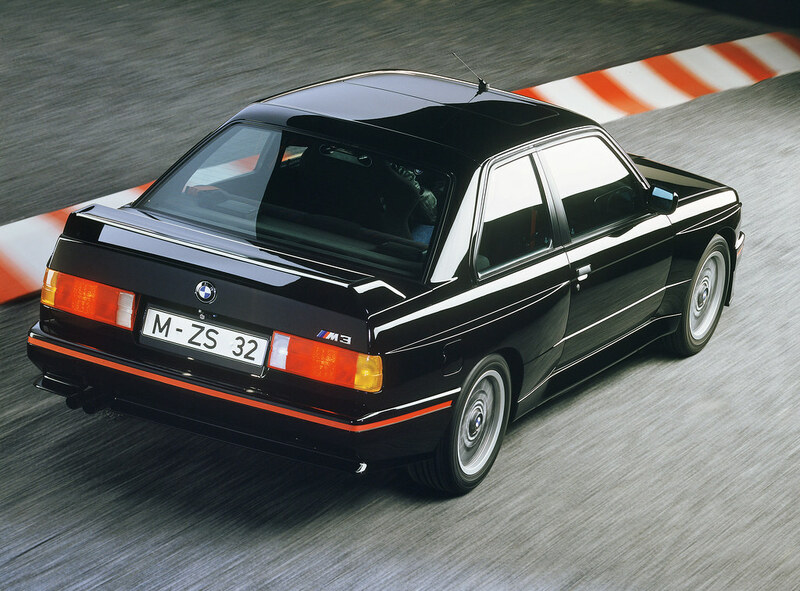 Each generation of //M-car proves its worth by one-upping the last one and with the latest JCW should do likewise. But if JCW is to be equivalent to //M, MINI needs to make the cars more distinctive in look, add more standard options and tune them to be much faster. That means including the JCW suspension, getting the Recaro seats approved by the DOT, Alcantara steering wheel for no extra charge, carbon fiber trim standard… the ‘W’ in JCW stands for Works. The way things are right now is more like ordering and paying for a pizza with everything on it and when the delivery guy shows up he hands you a pie with peppers and sausage. No matter how delicious that pizza is, it’s not what you were told you were getting. Make JCW cars more unique and lightweight. MINI has been an extremely unique company since it was introduced in that the cars are seemingly infinitely customizable. The prospective owner can add whatever features and knick knacks to the car and order it that way. JCW could take things one step further and make cars completely to order. I think the key lies in weight loss and offering individually hand built cars. Options could include A/C delete, aluminum roof, rear seat delete, stereo delete, sound deadening delete… etc. The entry-level car could be more like today’s factory JCW car with all the options but with a carbon fiber hood and a full JCW kit (engine, suspension, exhaust, intake). And how about this for an idea– automatic sport mode. It’s up to the customer to add or subtract from there. This idea would take the JCW brand away from the impressive technological improvements that the M-division makes with its cars and towards a more Colin Chapman-like ethos. I feel that this solution could make the brand different enough from the low-end BMWs to negate comparison based on price and specs. It also lowers the necessity for the cars’ performance having to be really huge because of the weight difference. 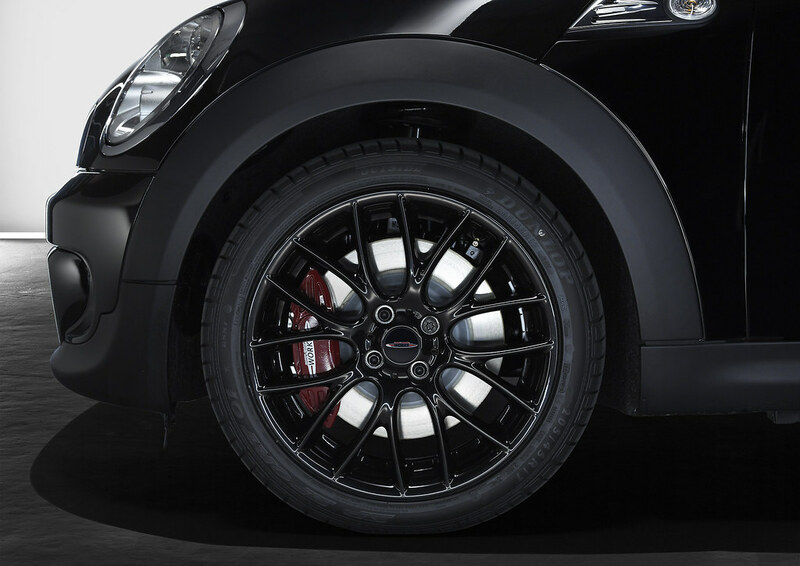 With an emphasis on light weight and extra HP, JCW could keep it real by shaving off every extra ounce from their cars. I feel that it could take JCW out of direct comparison with the Volkswagen R cars, the Audi S3, the Subaru STi and the Mazdaspeed 3 and place it in a category closer to Lotus. In the end, I’m counting on BMW to go with the first option. But I feel that the comparisons to other high-po compact cars is problematic and detrimental to the JCW image. The second direction that I dreamed up is much more compelling to me because it truly could cast JCW cars into a new image. It shows a lineage with the JCW GP, a car that is still the halo for the brand. 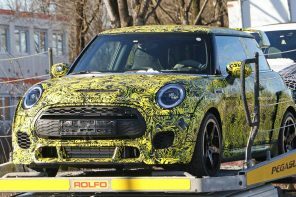 But, things are about to get even more interesting given the involvement of Prodrive with the Countryman and perhaps a new injection of real racing heritage into the MINI brand (I wrote about it here for MF). 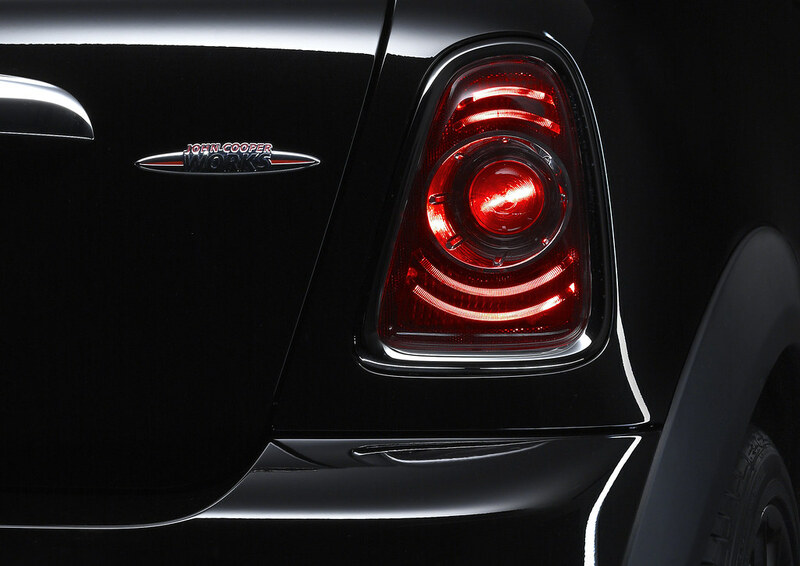 Realistically we expect it’s too late to make any radical changes to the R56 JCW. However look for information to pop-up soon on MF about something much more serious with the letters JCW attached to it coming soon. We just hope it’s enough.